Beam Entering Fast-Growing Irish Whiskey Category. Beam Inc. BEAM -1.01% , a leading global premium spirits company, today announced that it has entered into an agreement to purchase Cooley Distillery, the award-winning independent Irish whiskey producer. The acquisition of Cooley, the industry’s only remaining independent Irish whiskey distillery, will mark Beam’s entrance into one of the spirits industry’s fastest-growing categories. The purchase price is approximately $95 million on a debt-free basis. Cooley owns and produces the Kilbeggan, Connemara, Tyrconnell and Greenore brands. It currently sells approximately 250,000 9-liter cases per year — divided among its brands, private label products and bulk sales to third-party customers — and has production capacity to support substantial future growth. Beam expects the acquisition to be earnings neutral in 2012 and increasingly accretive moving forward. 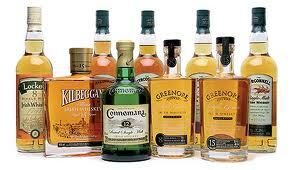 With both grain and malt distilleries, Cooley is able to produce a complete range of Irish whiskey styles. The company’s Kilbeggan Distillery, opened in 1757, is reputed to be the world’s oldest distillery and produces Cooley’s flagship blended Irish whiskey. Cooley’s many accolades include being named European Spirits Producer of the Year for an unprecedented four consecutive years by the International Wine & Spirit Competition (2008-2011). The Irish whiskey category grew 11.5% in 2010 to 4.86 million cases according to Impact Databank. The leading markets for Irish whiskey, according to Impact, are the United States, Ireland, the United Kingdom, France, South Africa and Germany. The transaction is structured as a tender offer in which Beam will offer Cooley’s stockholders $8.25 in cash for each outstanding share of Cooley stock. The transaction is conditioned upon holders of at least 80% of Cooley’s outstanding stock accepting the offer and other customary closing conditions. Holders of over 75% of Cooley’s outstanding stock have irrevocably agreed with Beam to tender their shares in the offer. The parties expect to complete the transaction in the first quarter of 2012. As one of the world’s leading premium spirits companies, Beam is Crafting the Spirits that Stir the World. Consumers from all corners of the globe call for the company’s brands, including Jim Beam(R) Bourbon, Maker’s Mark(R) Bourbon, Sauza(R) Tequila, Canadian Club(R) Whisky, Courvoisier(R) Cognac, Teacher’s(R) Scotch Whisky, Laphroaig(R) Scotch Whisky, Cruzan(R) Rum, Hornitos (TM) Tequila, Knob Creek(R) Bourbon, EFFEN(R) Vodka, Pucker(TM) Flavored Vodka, Larios(R) Gin, Whisky DYC(R), DeKuyper(R) Cordials, and Skinnygirl(R) Cocktails. The Beam portfolio includes 10 of the world’s top 100 premium spirits brands and some of the industry’s fastest growing innovations. Beam is focused on delivering superior performance with its unique combination of scale with agility and a strategy of Creating Famous Brands, Building Winning Markets and Fueling Our Growth. Beam and its 3,200 passionate associates worldwide generated 2010 sales of $2.7 billion on volume of 33 million 9-liter cases. Headquartered in Deerfield, Illinois, Beam is traded on the New York Stock Exchange under the ticker symbol BEAM and is included in the S&P 500 Index and the MSCI World Index. For more information on Beam, its brands, and its commitment to social responsibility, please visit www.beamglobal.com and www.drinksmart.com .